A favorite of our clients for years. 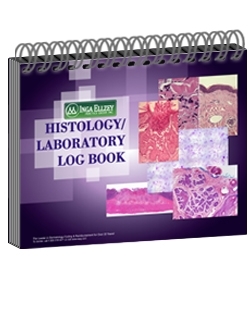 Our pathology specimen and lab test tracking aid helps you accurately record specimens and track work volume. Meets CLIA regulations. 150 double-sided pages. Coil-bound to lay flat on your lab counter.